Question: Will my insurance company pay for my ambulette transport? There is insurance coverage for wheelchair transportation. Call our office and our friendly dispatchers will assist you with help explain any steps you may have to go through if your insurance will not cover the transportation. Question: Can an aide or family member ride with me in the ambulette? Of course! We encourage, but don't require you to travel with a trusted aide or family member for safety and comfort reasons. Question: May someone other then the client register them and schedule appointments? Yes. Clients may call the office, or case workers, social workers, aides, or anyone else officially acting on the client's behalf. Question: Can a customer be transported with oxygen? Yes. As long as an American Medical Transport employees are not able to administer the oxygen, so your oxygen tank must be is secured to your wheelchair. Question: My house or apartment has stairs/steps inside/ and or outside, can you still transport me? No problem. We can assist you in your transportation needs, if we know your weight and how many steps there are outside the home before we arrive. These types of trips may require two drivers and additional costs. We are not able to assist with stairs inside homes and/or residences. Question: What types of wheelchairs may I use in your ambulettes? 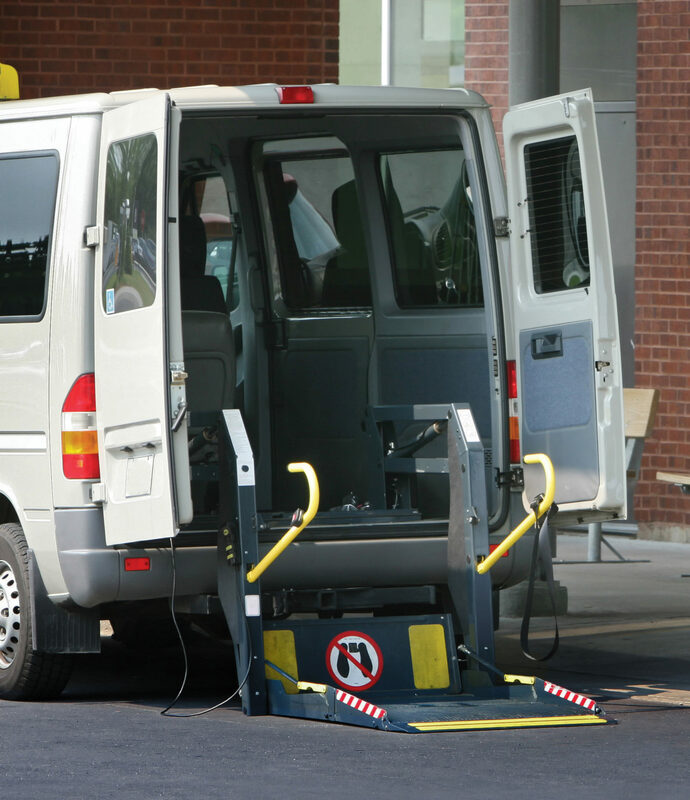 We can take any type of wheelchair, as long as it fits on our hydraulic lifts, and the driver deems it safe for travel. If you have a wheelchair which is not a standard type, please let us know when you schedule your trip and we will advise you as to what to do. Question: Does your company provide equipment, such as wheelchairs or any other safety equipment to your customers? Question: Are there any passengers you cannot transport? 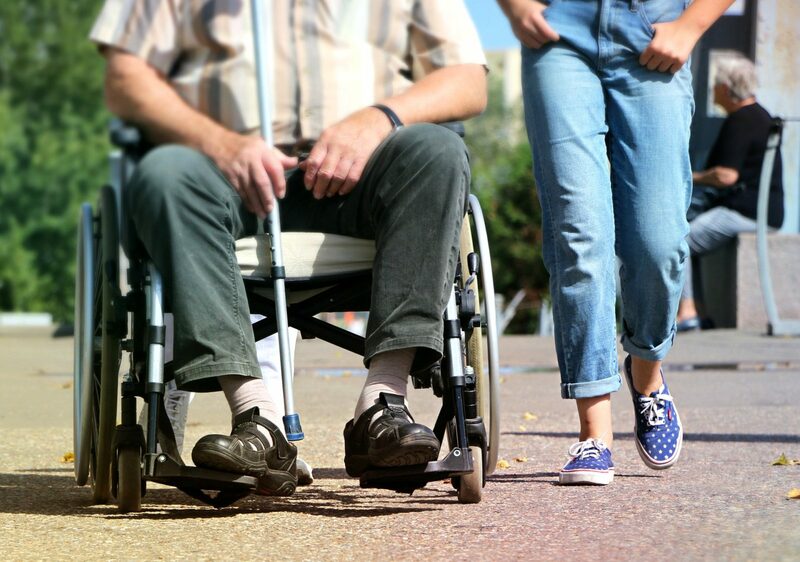 We transport non-emergency customers who are ambulatory, or in wheelchairs. We are not able to transport anyone in need of medical assistance while riding, or anyone who requires stretcher service. An ambulance is needed in these cases. Question: Are you able to transport passengers who have limited English proficiency? American Medical Transport vans are equipped with Google Translate. We also work with local agencies, including the International Institute of Akron, to increase our understanding and ability to work with clients with limited English proficiency, obtaining translators as needed. Question: I want to know that my family member, or my client arrives back home safely. Will you let me know? We offer call back services to family member, as well as case workers, social workers, aides, or anyone officially acting on the client's behalf, wanting to make sure that clients arrive back home safely following appointments. In addition, we follow up with clients and make sure that any future appointments, or special needs are addressed. Question: I need a ride on the weekend or a holiday when you are closed. Am I still able to schedule a ride? Absolutely! Please call us when we are open, Monday - Friday 8:00 AM - 5:00 PM and we will happily schedule your ride.